One of the restrictions you have to put up with if you don't give Spotify a monthly subscription fee is having to sit through a certain number of ads while your music plays. Now the music streaming service is toying with the idea of letting users on the free tier skip these ads if they want. The idea, Spotify tells Adage, is that users only hear the advertising they're actually interested in and advertisers get an audience that's more engaged with what they're trying to sell (and wouldn't pay for skipped ads). It's potentially a win-win for all involved. "Our hypothesis is if we can use this to fuel our streaming intelligence, and deliver a more personalized experience and a more engaging audience to our advertisers, it will improve the outcomes that we can deliver for brands," says Spotify's Danielle Lee. At the moment the feature is only being tested in Australia, and there's no indication if or when this is going to roll out to the global Spotify community at large. If it does, it's one less reason to sign up for Spotify Premium – remember that the free tier is one key difference between Spotify and Apple Music. 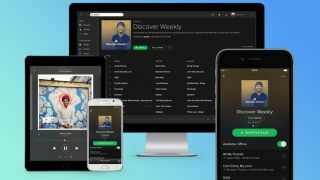 Back in April Spotify gave non-paying users more control over their playlists, up to a point, letting them play a selection of recommended tunes in any order they like – normally, being stuck with shuffle is one of the restrictions of free Spotify on mobile. We'll have to wait and see whether the ad-skipping idea makes it out to the rest of Spotify, but this looks promising for users who don't want to cough up a subscription fee. At the last count, the streaming service had 170 million monthly active users, with 75 million of those paying customers on a Premium plan.